If you have instagram account then you've probably already seen these flavors on there and the general consensus seems to be that it goes fruit loot, frozen flakes and then cocoa loco in order of most enjoyed to least. Not that we don't all have our own opinions, but that's basically the order I wanted to try them in anyway, so let's go with it. I try Fruit Loot first and I am not sure what to make of it. The overall texture of this ice cream is probably not like anything you've tried before, and I'm saying that as someone who has literally put cereal on my ice cream before. The idea is the same, but don't go in expecting a crisp crunch at any point. Remember, this is just a swirl, there are no magic mix-ins like white chocolate covered fruit loops... wait, now I want to know what white chocolate covered fruit loops would taste like. I move on to Frozen Flakes and I like it less that Fruit Loot. It's all of the difference of a cereal splashback flavor without the pop of the fruit flavor to mix things up a bit. Yes it tastes like corn flakes but it's not a very engaging flavor. I move on to Cocoa Loco and I like it. It comes together well. The neat swirl mixed in with a chocolate milk flavor is pretty cool. I chatted with the guy behind the counter and he said this was his favorite of the three and I see why. It's just simple and straight forward. My only mild concern is that I cant tell if the chocolate milk flavor is waning a little with every bite. I dig back in to the Fruit Loot and I think I like it more now. Something about eating the cocoa before is helping the fruit loop vibe pop more now. I still don't really get the Frozen Flakes. The flavor comes across weird to me. I know it doesn't fit with the name, but I think it would taste better with a cinnamon flavored base maybe. Ok, maybe not cinnamon, but something. So to recap the vagueness, cereal splashback is available at scoop shops. The texture is going to be unfamiliar. Cocoa Loco is cool with a neat chocolate milk flavor. Fruit Loot is interesting. Frozen Flakes isn't clicking. None of the flavors have mix-ins, just swirls. I kind of wish they had mix-ins though getting these in a cone may have helped with that. I only ate half of each flavor so I'm going to wait a few hours and try them all again. On Second Scoop: I only really did eat half! See, a very long time ago I stopped eating in large quantities. I would rather have three small snacks than one big snack. Sure, I still eat way too fast, but for the most part I never really eat that much in one sitting. Anyway... starting with frozen flakes. All I can say is that this flavor needs something. It's not so much bad as incomplete. It almost reminds me of turkey hill's pretzel swirl. Cocoa Loco is still a real nice flavor, if not also a bit simplistic. I want chocolate covered something in here. It's nice though. It's just a really pleasant chocolate flavor. That leaves fruit loot and it reminds me of something. Well, it reminds me of fruity cereals obviously, but it reminds me in particular of... like taking the fruit cereal dust from the bottom of the bag and mixing it with vanilla ice cream maybe. 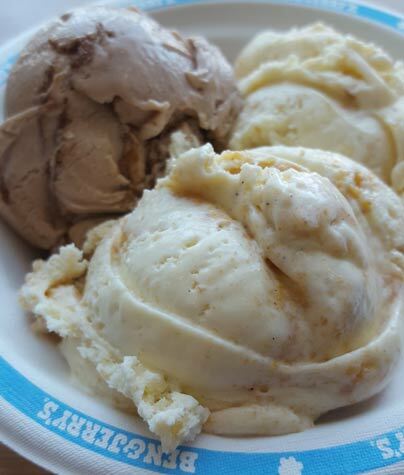 I swirl the last few bites up in to a nice medley of something that seems dominated by the frozen flakes more than anything else. Of the three, I'm wondering if fruit loot would make the tastiest milkshake. Anyway, give these a try if it's got your interest. Maybe get the three scoop bowl like me and then share it with a few others. I don't see these offsetting something as your favorite B&J flavor, but it should be fun to try and talk about. Does the Frozen Flakes variety have any cornflake like flavour to it? I know it's not necessarily the most impactful flavour out there so I'm curious if this is why reviewers seem to feel there's something missing. @aol: it's for the people who dont want chocolate or fruity but still want to try one of them? @EEE: sorry, not sure why I didnt say that in the actual review, I will have to correct it. Yes, it tastes like corn flakes and that's about it. I think it lacks a wow factor which could probably be fixed with a mix in (or by turning it in to a breakfast sundae). Very disappointed by these as well as Chocolate Cherry Garcia. I think B&J has lost a step or two. I wish most B&J scoop shops didn't close near me. :( I kinda want to try these 3 flavors out for myself, sometime. Maybe eventually, I'll go to one of the few left near me to see how these flavors are like? 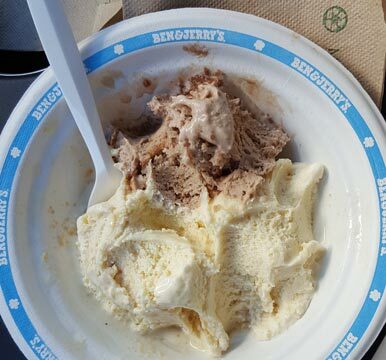 Jp, I preferred Truffle Kerfuffle better for a new B&J ice cream flavor in grocery stores this year. Hadn't tried Urban Bourbon and Oat of This Swirled yet, but I know I will soon. Chocolate Cherry Garcia was fine, but it didn't blow me away. Just glad that B&J is coming out with new flavors for grocery stores that aren't just Core flavors, for once!